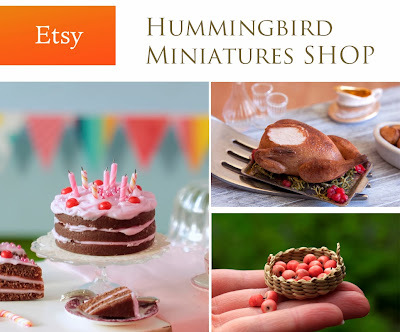 Whether you're a fan of miniatures, you like to wear cute and original jewelry or you're a serious dollhouse collector, you've landed on the right website! You can buy my miniatures and jewelry at my online Etsy shop. Email me for a specific commission. Find me at a Miniature Fair near you. Upcoming show schedule (coming soon).